The Corkscrew trail is located on the east side of the Colorado National Monument. The trail gets its name from the series of switchbacks that make up the southern most portion of the trail that take the hiker from the valley floor to the Precambrian bench area over 700 feet higher. The Corkscrew trail provides a true mountaineering experience, within only a mile of city limits, as it scales the steep granite cliffs. The Corkscrew trail shares the Wildwood Trailhead with the Liberty Cap and the Ute Canyon trails. 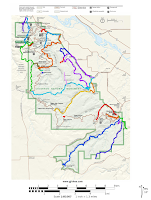 Since the trail is a loop trail you can hike it in either a clockwise or counter clockwise direction. 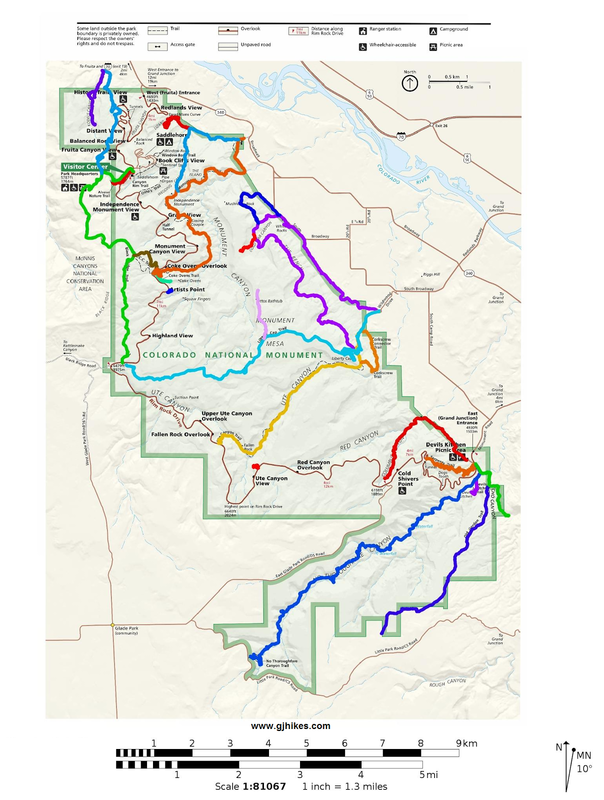 This description covers the trail in the counter clockwise direction but it is all up to the hikers preference. After hiking for about 1/4 of a mile you come to the lower junction of the Corkscrew Trail. 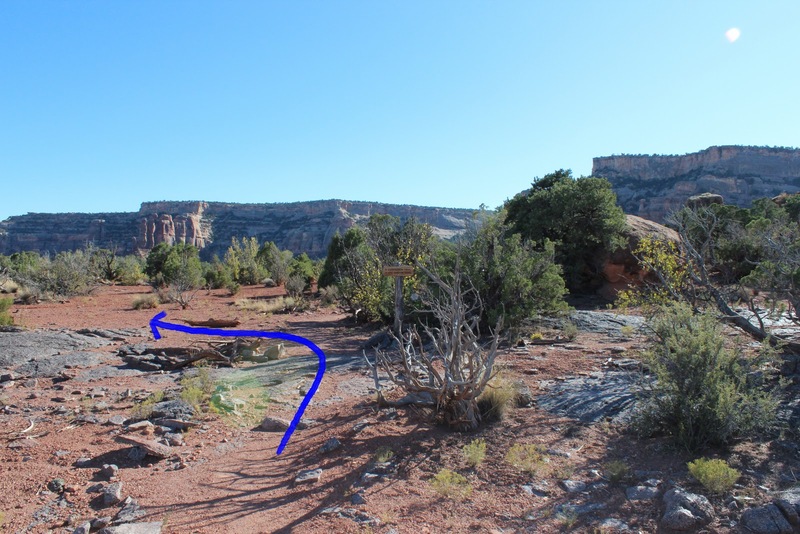 This is where you will rejoin the trail after you complete the loop. Continue on the main trail as it disappears behind the large rock slab. The trail starts climbing fairly steeply at this point. 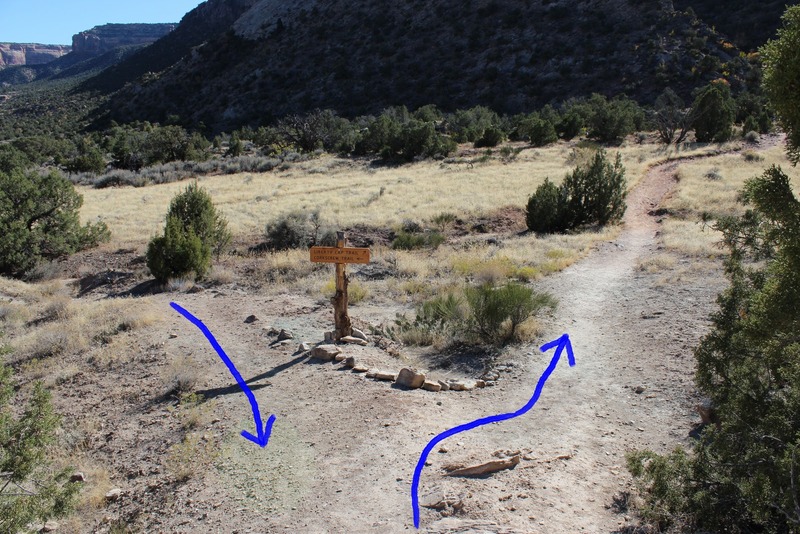 Almost exactly one mile from the start you will come to the junction where the Ute Canyon trail splits off. 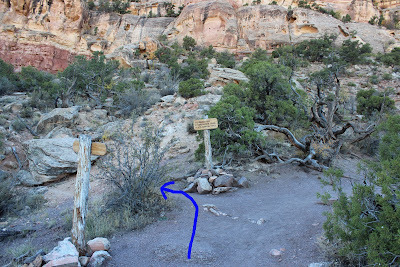 Follow the sign for the Ute Canyon trail. Most of the climbing is over at this point as the Ute Canyon trail follows the bench around the cliff. The trail traverses around some boulders for about another 1/4 of a mile and comes to the upper Corkscrew trail junction. Follow the trail to the left and after a short distance it will begin the descent. Sections of the trail hug tightly to the wall of granite. The valley side of the trail is lined with enough trees and boulders to lessen the feeling of exposure to peril that would otherwise be felt. Looking back along the cliffs shows just how rugged and beautiful this portion of the monument is. The trail winds its way down a spectacular series of switchbacks, giving up elevation at a rapid pace, as you make your way back down to the valley floor. As the trail descends a massive cliff with a seasonal waterfall begins to tower above the corkscrewing trail. At the bottom of the switchbacks the trail cuts back towards the north this time passing below the cliffs and the large rock slab. The trail continues across the bottom area until it rejoins the Liberty Cap trail where the loop began. The Corkscrew trail is an amazing experience that is right on the edge of the city limits. The wonderment in that, like many other trails in the area, is that few people know that it is there. A person could drive hundreds of miles in all directions trying to find anything like it. If you would like to experience this unique trail for yourself then all you have to do is 'Take a hike'.